by Noah Goldstein, L.Ac., Dipl. O.M. Modern Chinese medicine comes from a rich history which includes ancient emperors and daoist priests searching for longevity and immortality. Throughout its evolution, an emphasis has been put on managing lifestyle for optimal living and vitality. There is a concept called “Yang Sheng” which means “Nourishing Life”, and there are a number of health promoting practices that go along with it including exercise, dietary choices, and mindfulness. From this passage we can expand and glean a number of fundamental principles. Chinese Medicine emphasizes the importance of harmony and balance. This applies to all aspects of our lives and encourages us to ask: how much is enough, and what is too much? We have all run the spectrum and at one time or another in our lives, been guilty of burning the candle at both ends, or being a couch potato. Our energy levels can be influenced by our age, the stressors we encounter, our support systems, and even the weather. Each individual has a different range of what works well for them. Just because a friend can wake up at four a.m., run twelve miles every morning, work ten hour days, and still have energy in the evening does not mean that you can, or should be able to. It is important to evaluate your own life and health rather than comparing yourself to others. Pushing ourselves can be rewarding in many ways and is a cornerstone for growth, but knowing when to hold back to recover is essential. Listen to your body and heart, and trust yourself. A guideline in Chinese Medical theory is to adapt seasonally - be more active and sleep less in the summer when the days are longer, and hold back on activity and rest more in the winter. A great way to evaluate your lifestyle is to reflectively examine your health. If you notice you are getting sick, feeling fatigued, or experiencing more aches and pain remember your lifestyle in the previous season. This works both ways, if you anticipate fighting colds in the fall, start treatment to strengthen the immune system in the summer. Now is the time to start tuning-up for the transition to colder weather. There is a reason we hear this time and again - regular exercise is good for you! Exercise will improve your circulation, increase your energy, and enhance your metabolism. Mental exercises are similarly beneficial for cognitive function and maintenance for memory. You can use technological tools such as Luminosity for brain exercise or use classic crossword puzzles. Staying active and engaged in life is an essential part of healthy aging and it can be fun. Finding activities you enjoy doing with other people is a great way to ensure you keep up with your exercise; try walking, swimming, or a class. Tai Chi is a great option that emphasizes low-impact low-intensity exercise which enhances flexibility, balance, and coordination. Technology can be your friend in this realm as well, helping you keep track of how active you are with a pedometer or fitness calculator (and learning how to use them can be a fun way to bond with a grandchild). “They were active, but never depleted themselves. Because they lived simply, they knew contentment, as reflected in their diet of basic but nourishing foods.” - Huang Di Nei Jing. Cook your food. Cooking food is a way of starting the digestive process and making it easier for your body to absorb vital nutrients. Soup, is an excellent example of a food that is substantially nourishing while easy to digest. Limit the intake of rich foods such as saturated fats, dairy and fried foods; they are difficult to digest and can clog arteries and challenge the digestive system. Consider supplementing with Digestive Enzymes or Bitters. As we age we produce less of our own digestive enzymes. These special molecules break down our food into absorbable components. Without them we have difficulties with energy, metabolism, and immunity. One way to address this is by taking supplemental digestive enzymes to ensure our food is being fully digested. Another option worth exploring is bitters, which are alcoholic infusions of bitter herbs such as gentian and dandelion root that encourage the body to produce more of its own digestive enzymes. In our clinic, we offer customized Chinese herbal formulas. To best identify what is most appropriate for you, we encourage you to come in for a consultation. Pain degrades quality of life. Taking a proactive stance and seeking out solutions to manage pain in supportive ways is vital. This is an area where Chinese Medicine shines. In addition to the wisdom around how to age gracefully, Traditional Chinese Medicine (TCM) has tools for effectively addressing ailments that occur when lifestyle alone cannot address them. Acupuncture and herbal medicine excel at alleviating pain and addressing the root cause of pain. Coming in for treatment to get relief from pain can make a tremendous difference in one’s ability to make the most of these precious years in life and allow one to enjoy all of the delicacies; for some, this may be a lifelong goal of climbing all the fourteeners, for others, it is a stroll around the block with a loved one; or perhaps it is working long hours in your garden. Our connections with others are essential for our mental and emotional health which are at risk as we age. If you do not live near family, using tools like Skype and FaceTime to stay in touch on a face-to-face level can be helpful. Make technology work for you. Additionally, seeking out peer groups who share a common interest and spending time with others has great benefits. Go birding, hiking, or try a game of mah jong! 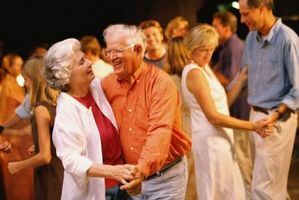 Having friends we can laugh or cry with is an important part of enjoying life, and becomes especially important in retirement when there is more free time. Senior centers, libraries, and community clubs such as your local Rotary club can be good resources as well as your local church, synagogue, or mosque. Senior citizens serve an important role and function in our culture. As retirees there is freedom to contribute in meaningful ways as volunteers or caregivers for youngsters. With age comes wisdom and a broader perspective on life. Finding ways to share the knowledge and wisdom you have gleaned throughout your years can be rewarding and help provide a sense of purpose which is essential to human health. Victor Frankl, a Holocaust survivor, Psychotherapist, and author of the book “Man’s Search for Meaning” discovered through his trials, tribulations, and observations that people who have something they believe in and a sense of purpose are much more able to thrive in life and manage difficult situations. This is no different for us as we age. Additionally, retirement offers an opportunity to reflect and examine our lives, and create space to heal any relationships or life decisions that need or deserve attention. Life is a beautiful and sometimes mysterious experience. We have the opportunity to make the most of it by taking care of our bodies, minds, and hearts through healthy, meaningful living. Chinese medicine brings insight and tools to the table to promote optimal health and vitality. At the Acupuncture Clinic of Boulder we are happy to provide you with any support you or your loved ones need to make the golden years shine bright.